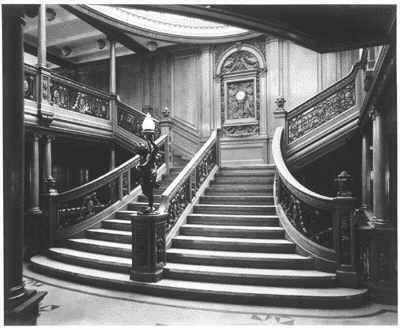 The William & Mary style Grand stairway formed a focal point for first-class passengers. The oak-paneled second-class smoking room. The informal and airy Cafe Parissien.